Ballymaloe Country Relish has secured one of the largest listings for an Irish company with Tesco which will see the brand’s original country relish stocked in over 900 Tesco UK stores from April 2015 with forecasted sales in excess of €500,000 for the rest of the year. This follows the brand’s participation in the Tesco supplier development programme with Bord Bia which initially saw the brand start to export to the UK in 2013 with Ballymaloe relish stocked in the World Foods section of 200 Tesco UK stores. Ballymaloe is an Irish family-run business owned by Yasmin Hyde, daughter of Myrtle and Ivan Allen of Ballymaloe House. The savoury tomato relish is one of Myrtle Allen’s recipes from the 1930’s which her daughter Yasmin started to produce for local shops and restaurants 25 years ago in her kitchen. Yasmin quickly outgrew this small space and moved into purpose built kitchens in Little Island in Cork where the company Ballymaloe Foods employs a staff of 20 and now produces a range of delicious sauces and relishes using the best quality natural ingredients and no artificial additives. 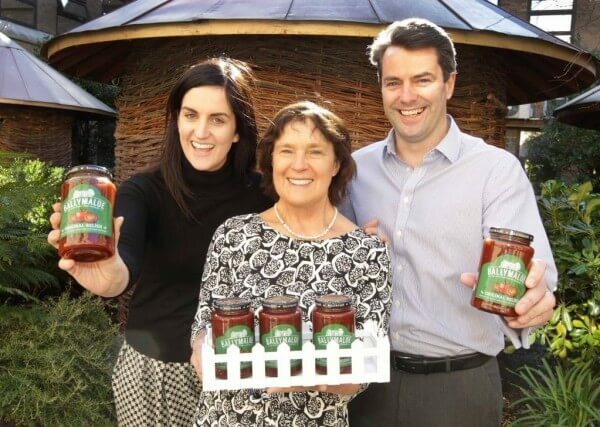 Ballymaloe Country Relish is one of the 50 Irish food and drink companies that have participated in the Tesco supplier development programme with Bord Bia. 2015 will mark the fourth year of this comprehensive retail programme that aims to help food and drink companies achieve sustainable growth at multiple retail levels. The seven-month programme equips participants with the necessary skills required to secure, grow and maintain a listing with Tesco in Ireland and overseas. Some of the other well-known Irish brands that have participated in this programme and now export to Tesco UK stores include Lily O’Briens, Keoghs Crisps and Glenilen among others. The Ballymaloe Country Relish will be available in over 900 Tesco UK stores from April.